Rotary actuator / pneumatic / double-acting / rack-and-pinion - CRR series - Bonesi Pneumatik s.r.l. 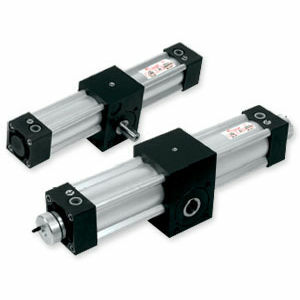 Power Transmission - Mechanical components > Actuator and Positioning System > Rotary actuator > Bonesi Pneumatik s.r.l. CRR series Bonesi Pneumatik s.r.l.